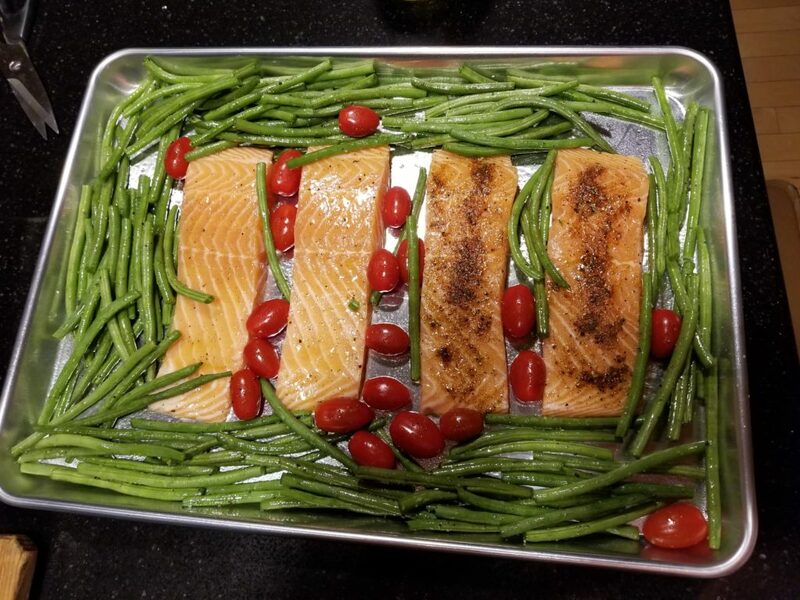 So I got a new aluminum sheet pan for Christmas and I love it. Think I have used it 10 times already!!!! 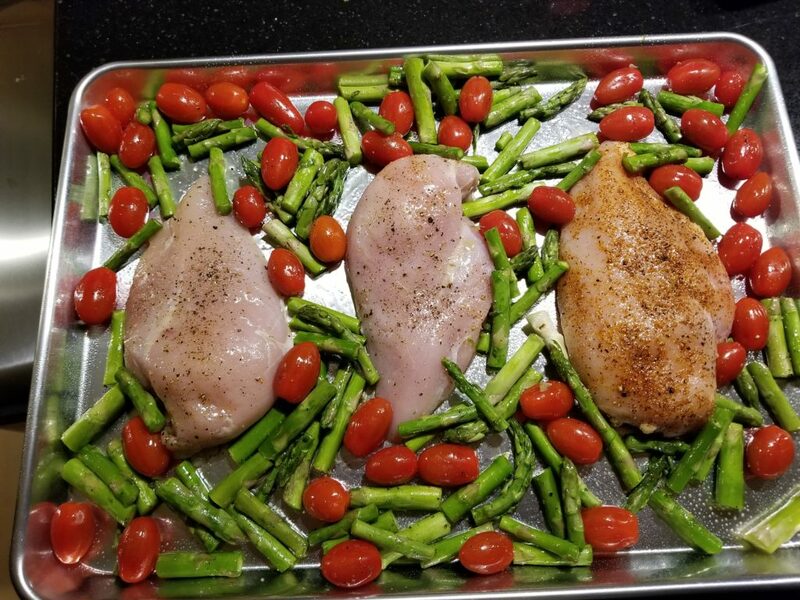 Such an easy way to cook a delicious dinner and have only one pan to clean up. Less than an hour from start to finish so it makes for perfect weeknight suppers! 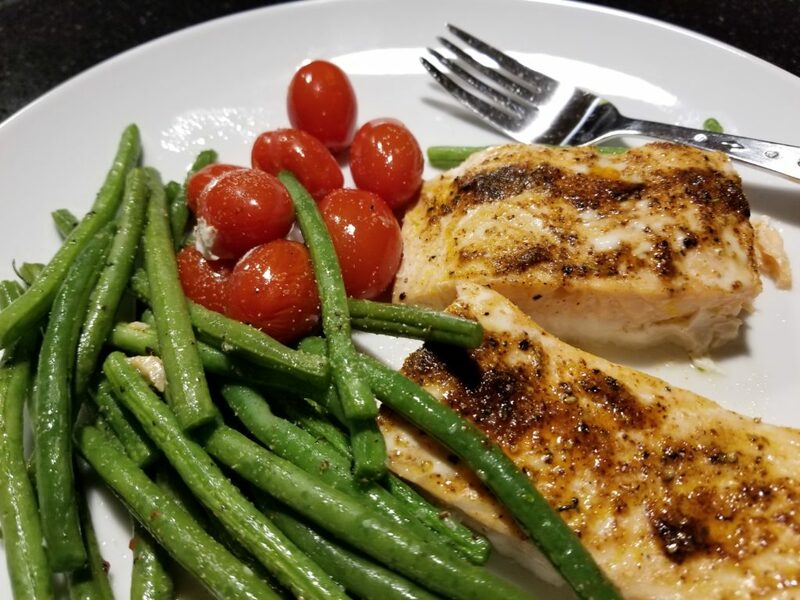 We have done salmon with green beans and tomatoes. Nothing to this. Season the salmon how you like it. You can see from the picture that Kris likes olive oil, salt and pepper. Me, on the other hand, like to try different rubs. Season everything, add to pan and toss in preheated 400 degree oven. Depending on the thickness of the fillets, this will only take about 25 minutes to cook. The salmon will flake easily when done. How about some chicken? We did this with asparagus and cherry tomatoes. Same principle as the salmon – season everything, toss on the pan and put in the oven. For the chicken I cooked it at 375 degrees for about 30 minutes. Chicken needs to register 165 degrees. 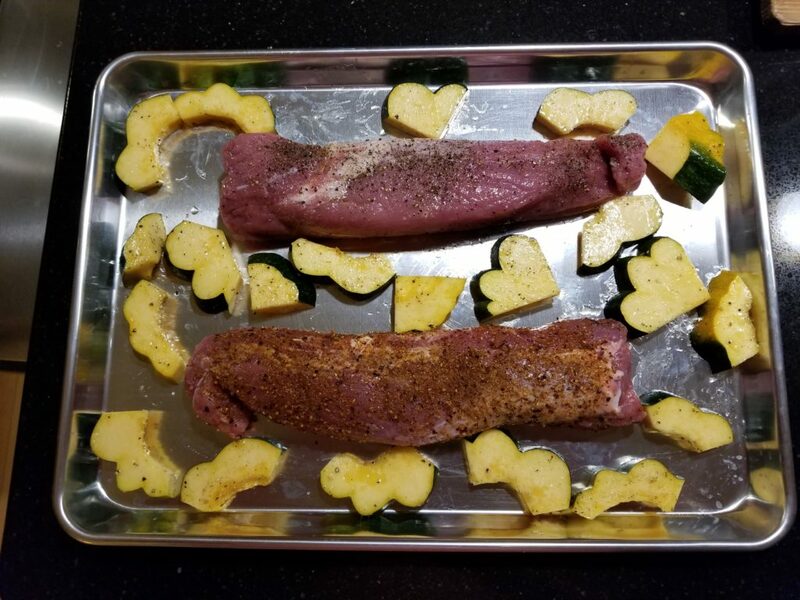 How about some pork tenderloin and acorn squash? Sounds good to me!! Another easy supper in no time. Cook this at 350 degrees for 30-40 minutes. Pull out of the oven when the internal temp of the pork hits 145 degrees. There you have it – 3 easy sheet pan dinners sure to satisfy. I am sure you will be seeing more of these in the future.